It's a bumper news day for fans of the adult-themed games specialists Rockstar, with a new PSP version of Grand Theft Auto: Chinatown Wars announced and a release date of October 30 2009 slipping out for the publisher's Max Payne 3. Chinatown Wars will be made available as both a downloadable title and in more traditional UMD format when it releases at some as-yet-unspecified point in the future. 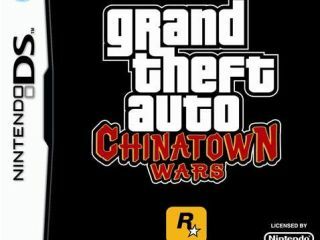 "We're proud to extend this truly unique handheld Grand Theft Auto experience to PSP and offer a downloadable version of Chinatown Wars for PSP Go!," said Rockstar founder Sam Houser. "Rockstar Leeds has shown incredible talent in creating games that raise the bar in terms of depth and innovation on portables, and with Chinatown Wars we have a rich, fast-paced, and incredibly addictive entry into the series." SCEA CEO Jack Tretton was also quick to praise the publisher's decision to back PSP Go!, noting: "Rockstar's work with the GTA series has been an enormous part of the success of PlayStation platforms." Discussing the slow take-up of the title on the Nintendo DS, Take-Two CEO Ben Feder told games trade magazine MCV that "DS titles take a longer time to sell, the good ones have long legs and we expect this game to behave in the same way." Finally, Rockstar's forthcoming Max Payne 3 is now listed on Play.com with an October 30 release date priced at £39.99. LivePlayStation confirmed with Play.com and were informed: "Thank you for your recent enquiry regarding the release date of Max Payne 3. Please be advised that the release date for this item, currently scheduled for 30/10/09, has been given to us by the developers of the game."